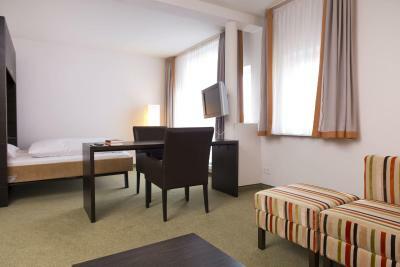 Lock in a great price for City Hotel Dresden Radebeul – rated 8.1 by recent guests! Old spa vibe I loved. 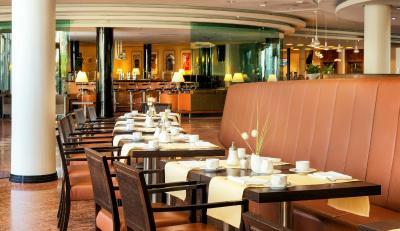 Spacious, comfy rooms, great breakfast! Just outside of the city, I was expecting good parking for a large vehicle, but it’s an underground car park, with less than 2m height. 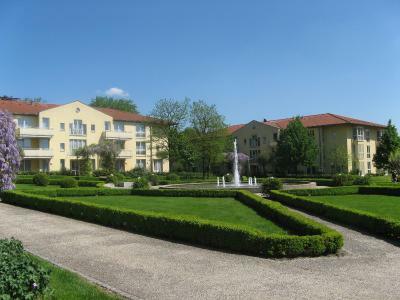 The hotel it’s self is in some large grounds, with different apartment blocks. It’s quite a long walk from the apartment to the main building, especially in bad weather. The room was clean, warm and comfortable. Good location. Room was clean and very comfortable. Quiet location. Friendly staff . We accidentally had dinner at the restaurant , excellent Steak . That was a nice surprise. We had a room, more like a small apartment. Very cosy and comfy. Clean and quiet. The park place under the hotel made all the difference as the temperature was still quite low. 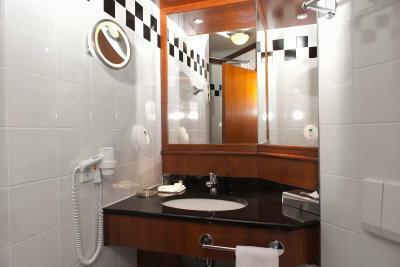 It is a complex of hotels containing different buildings but easy accessible from the parking place. Recommended. great choice for food on the buffets. staff very friendly. accomodation in general very attractive. 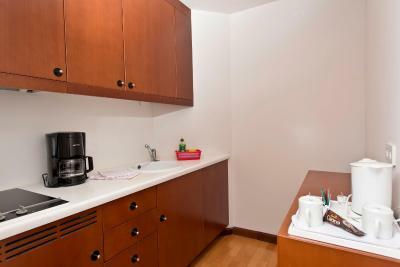 Very clean and spacious rooms, friendly staff, quiet. Calm location. Nice area. Professional and helpful staff. Big parking. Recreational area - swimming pool. Good access from highway. There is also tram to Dresden, which simplify parking. 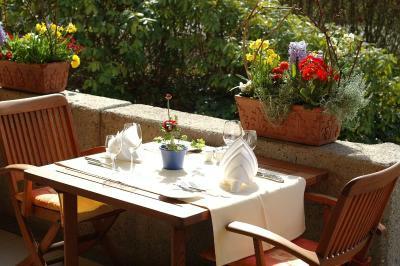 There are not too many things to do in Radebeul, but you can go to the hill next to the hotel - there are two nice restaurants (one is rather summer garden) and appreciate beautiful view over valley and vineyards. You can also buy a bottle of wine and go near tower (Bismarckturm) around sunset :) (car access is probably easiest). 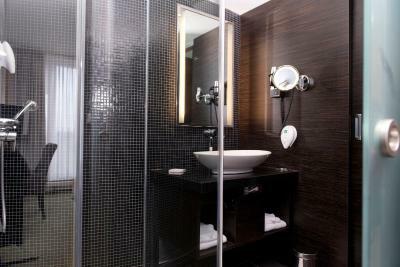 It is also important that swimming pool is not included if you make reservation in City Hotel, not Radisson. (price is 10 EUR). This is the same hotel. Comfortable place to stay on a budget. Great value for money, paid parking tough. 24h front desk. Not far from major highway and train station if travelling by car. Das Zimmer war gut die Betten sehr gut, in der Tiefgarage war viel platz , der Park ist sehr schön angelegt ,das Personal war freundlich. Die Strassenbahn ist nicht weit weg . 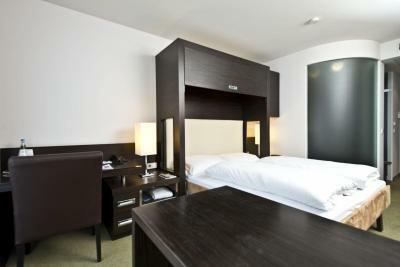 City Hotel Dresden Radebeul This rating is a reflection of how the property compares to the industry standard when it comes to price, facilities and services available. It's based on a self-evaluation by the property. Use this rating to help choose your stay! 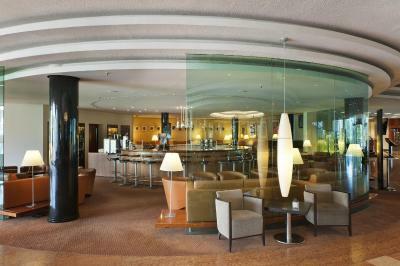 One of our top picks in Radebeul.This hotel has a quiet location in the district of Radebeul, 4.3 mi north of Dresden. Guests enjoy access to 2 restaurants and a garden terrace overlooking local vineyards. 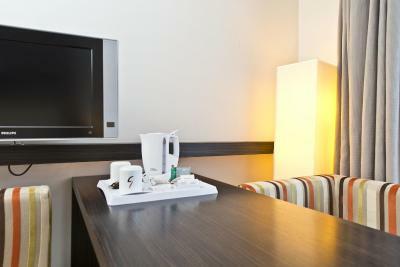 All rooms at the City Hotel Dresden Radebeul feature air conditioning, satellite TV, Wi-Fi and a work desk. 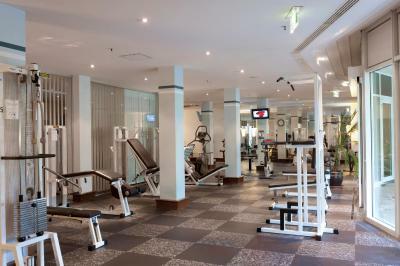 Guests at the City Dresden Radebeul enjoy free use of the gym in the hotel next door. The 100 feet pool, sauna, hot tub and massages are also available for an extra fee. 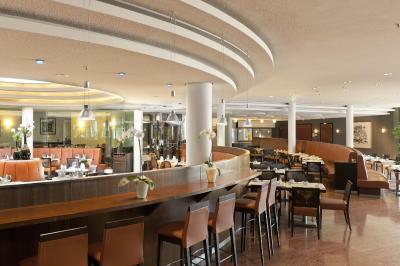 The Lößnitz restaurant serves regional and international dishes. 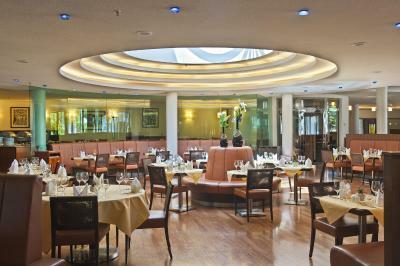 The Nizza buffet serves light meals and drinks. 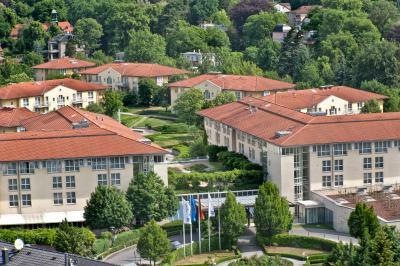 The A4 motorway is just 1.9 mi from the City Hotel Dresden Radebeul. There are underground parking spaces at the hotel. Dresden city center is just 20 minutes away by tram. 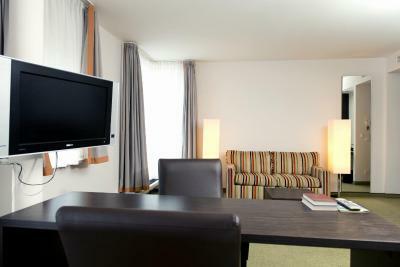 When would you like to stay at City Hotel Dresden Radebeul? Private parking is available on site (reservation is not possible) and costs EUR 12 per day. This apartment has a seating area and satellite TV. This apartment features a seating area. 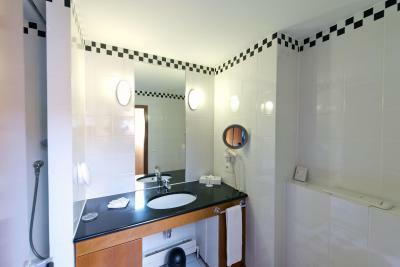 At our hotel in Radebeul you spend the night in one of our four comfortably-equipped villas. The City Hotel Dresden Radebeul has 126 air-conditioned rooms, furnished with finesse and attention to detail: A hotel room bathed in light, beautiful materials and a wonderful view of the vineyards. Our hotel near Dresden is situated at the heart of an attractive Baroque garden with a sun terrace and provides a lot of space to relax and feel at home. House Rules City Hotel Dresden Radebeul takes special requests – add in the next step! City Hotel Dresden Radebeul accepts these cards and reserves the right to temporarily hold an amount prior to arrival. Please note that due to routine maintenance work the fitness area will be closed from midday on 02 January 2019 until and including 11 January 2019. Very very crowded resturant .. I didn’t like that the restaurant closed at 10pm, but when I arrived at 9.45. Only main course available as “the restaurant was closing soon” why don’t they tell you this at reception ? Pillows were not very comfortable. Could have asked at reception for additional pillows, but perhaps 1 or 2 in the room would have been more adequate. Internet connection was very poor. The elevator was out of order. Therefore we had to change our room to another building.